Keith Lemon, Bob Gale, Leigh Francis et al. 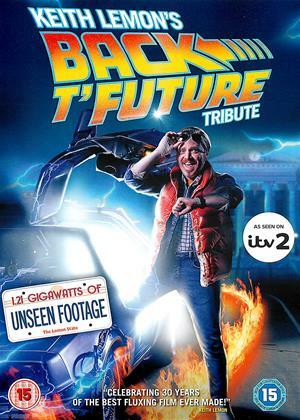 30 years after Marty McFly stepped into the DeLorean, Back to the Future's biggest fan, Keith Lemon, creates his very own celebratory homage, with the help of some of his celebrity friends. Keith heads off on a transatlantic pilgrimage to visit the film's iconic locations and meet some of the original cast and crew including co-creator, Bob Gale. Keith hangs out with the film's biggest fans, real time travel boffins and shows off his skateboarding skills!